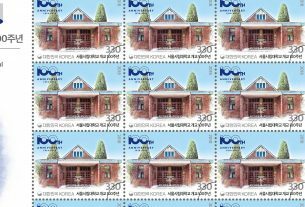 (News from 우정사업본부 / KoreaPost) On 23 October 2018 KoreaPost released two stamps forming a joined issue with Iran. 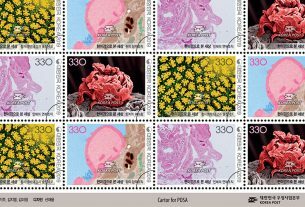 The stamps show Korean and Persian art. 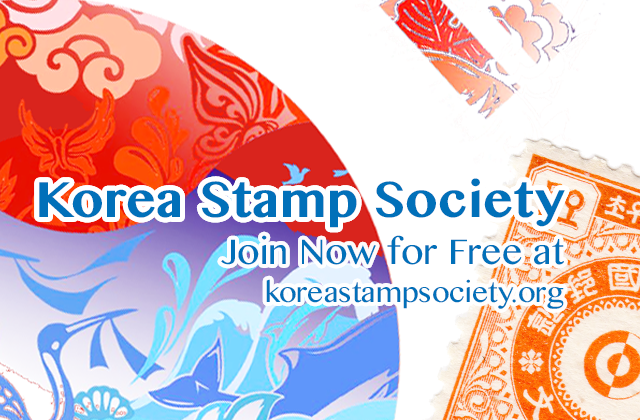 The history of exchanges between Korea and Iran go back to the Silk Road, 1,500 years ago. The Silk Road, a path of exchanges between the human civilizations of the East and the West, was a channel of culture that began in Rome and Persia, passing through China and connected to the Silla kingdom. 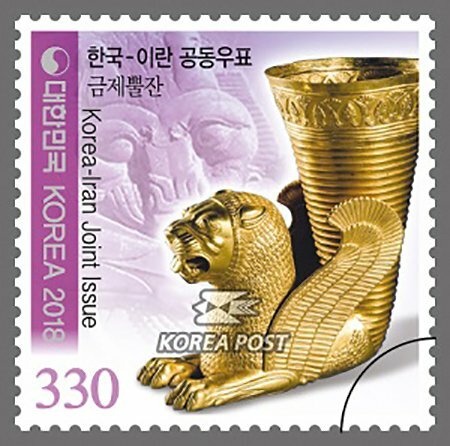 Korea Post will issue collaborative postage stamps on the subject of lion artifacts from Silla and Persia to commemorate Korea’s friendship with Iran. 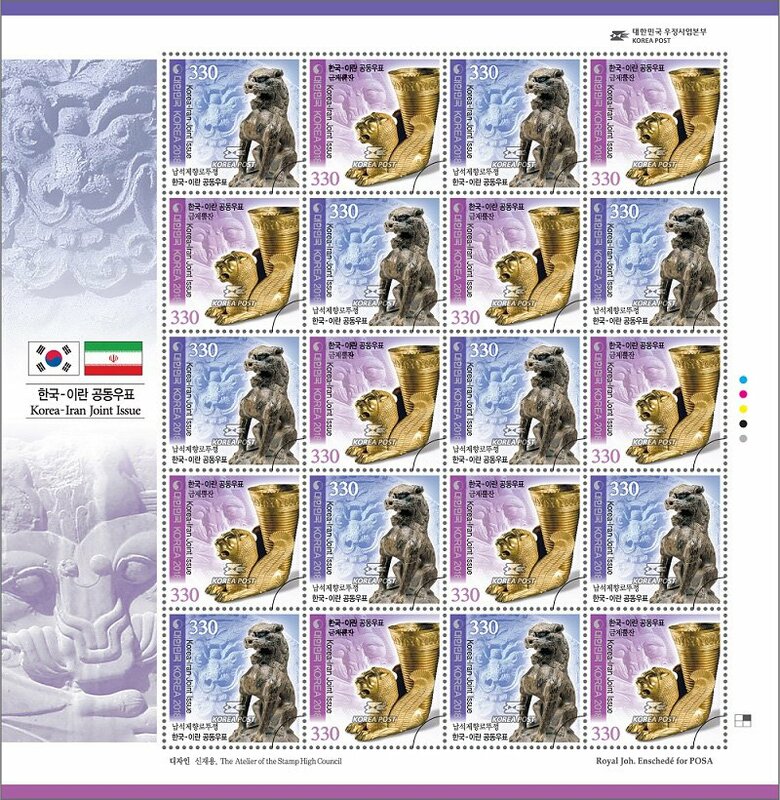 The history of exchanges between Korea and Iran go back to the Silk Road, 1,500 years ago. The Silk Road, a path of exchanges between the human civilizations of the East and the West, was a channel of culture that began in Rome and Persia, passing through China and connected to the Silla kingdom. Such history was confirmed through various foreign artifacts excavated at the site of the Royal Tombs of the Silla kingdom in Gyeongju. Most notably, a lion artifact symbolizing the Persian Empire was discovered in a historic site of Silla, implying the intimate relationship that existed between the two nations. 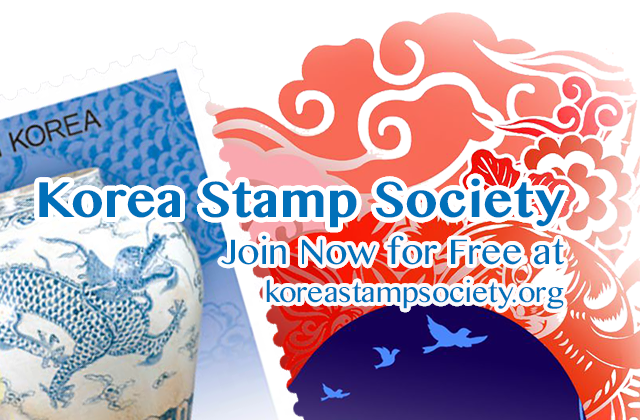 Since ancient past, Korea has regarded the lion as a majestic, brave and spiritual animal. Persia considered the animal as a symbol of might and authority. 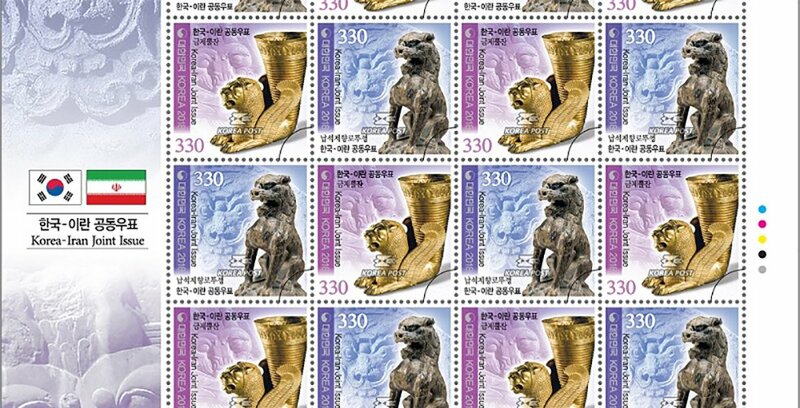 Lion patterns, an animal that could not be seen on the Korean peninsula, seem to have been introduced to the country through Buddhism, yet lion-shaped artifacts are proof that Silla interacted with various countries including Persia. 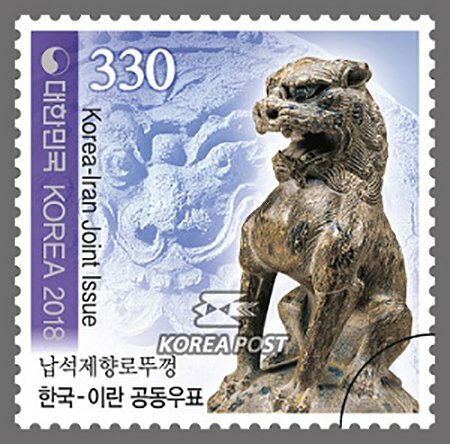 The Korean artifact introduced with the postage stamps is a Lion-shaped Incense Burner Cover made around the 8th to 9th century during Unified Silla. The cover is 9.5 cm in diameter and 16.3 cm high, and takes the shape of an angry lion sitting confidently. The lions mouth is open wide, and it is fiercely glaring straight ahead while its paws remain unyielding as it sits. Under the cover is a hole that connects to the lions nose and mouth. This is the hole through which smoke escapes when incense is burned beneath the closed. The Gold Rhyton, one of the symbolic representations of Iran, was made around the 5th century BC, and is one of the most prized possessions at the National Museum of Iran. This 21.3 cm-high golden goblet takes the shape of a lion lying in prone position with its teeth revealed. The lion also has wings coming out of its sides. A goblet forms the section that connects the lions upper body with its lower – this part was often filled with wine. This elaborate and magnificent artifact displays the splendor of the world’s first empire, the Persian Empire, also known as the Achaemenid Empire.